The solar system is very flat. Why? Nearly all the planets orbit and spin in the same direction. Why? Inner planets are small; outer planets are big. Why? 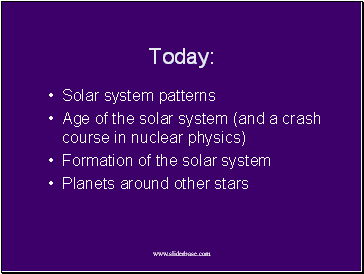 Inner planets are mostly solid; outer planets are mostly gas and liquid. Why? 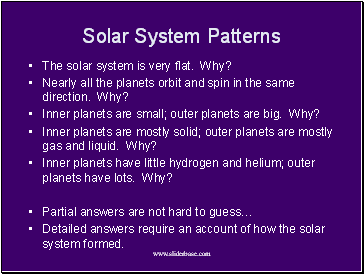 Inner planets have little hydrogen and helium; outer planets have lots. Why? 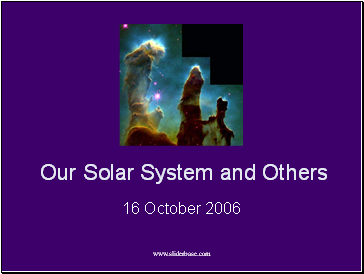 Detailed answers require an account of how the solar system formed. Layered rocks imply an age of at least millions of years. 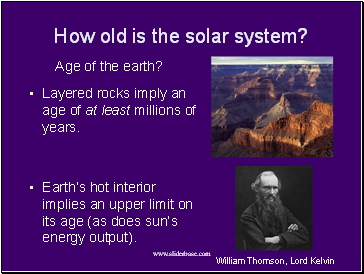 Earth’s hot interior implies an upper limit on its age (as does sun’s energy output). 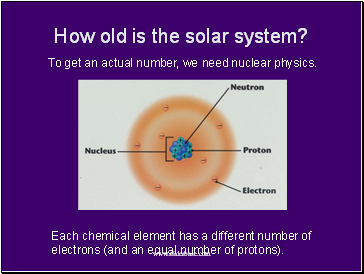 To get an actual number, we need nuclear physics. 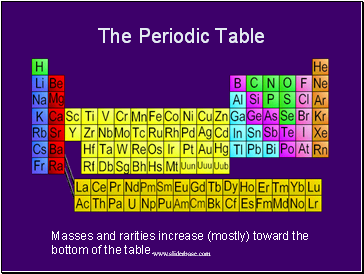 Each chemical element has a different number of electrons (and an equal number of protons). Masses and rarities increase (mostly) toward the bottom of the table. 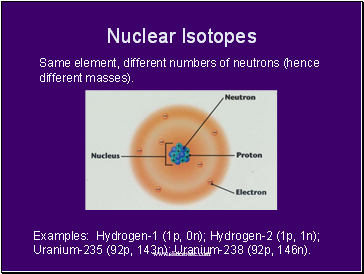 Same element, different numbers of neutrons (hence different masses). 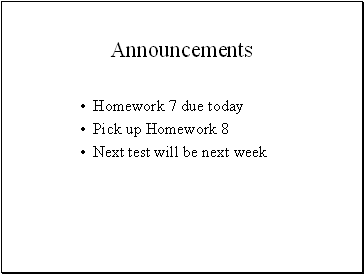 Examples: Hydrogen-1 (1p, 0n); Hydrogen-2 (1p, 1n); Uranium-235 (92p, 143n); Uranium-238 (92p, 146n). 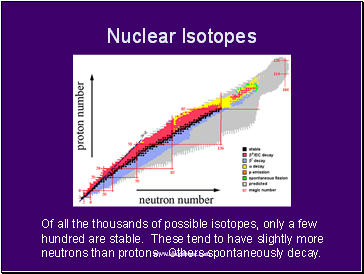 Of all the thousands of possible isotopes, only a few hundred are stable. These tend to have slightly more neutrons than protons. Others spontaneously decay. 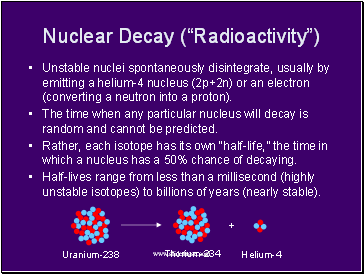 Unstable nuclei spontaneously disintegrate, usually by emitting a helium-4 nucleus (2p+2n) or an electron (converting a neutron into a proton). The time when any particular nucleus will decay is random and cannot be predicted.